First incorporated as a state in 1912, Arizona was the last of the lower 48 states to be added to the union. Back then, it was little more than a vast desert peppered with cotton farms and copper mines. Fast forward more than 100 years, and it has become the site of one of the largest metropolitan areas in the country, owing partly to its sunshine and breathtaking scenery. In 2009, my family first moved to Arizona for my father's job after living in Michigan for our entire lives. Needless to say, it was a huge change; we were uprooted from our quiet lives in a cold, rural Michigan town to the heart of the Valley of the Sun, where summer temperatures regularly exceeded 110º Fahrenheit. However, that year is one of the best in my memory. 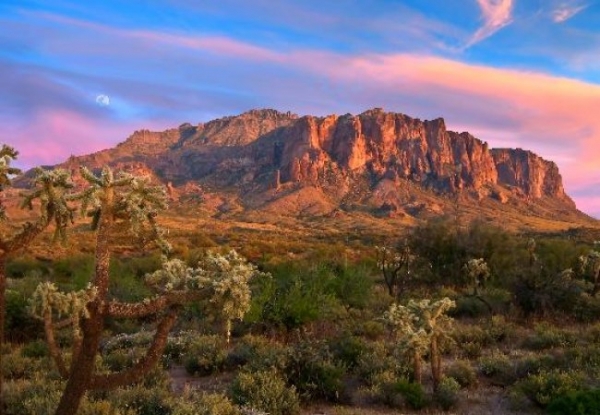 After living in a place where the only distinguishable geographic features were lakes, I was in awe of the vast beauty of the Superstition Mountains, the red rocks of Sedona, and, of course, the Grand Canyon. To this day, Sedona remains one of my favorite places that I have ever visited. It was such a magical place for me. Although my family unfortunately had to leave Arizona and return to Michigan when my father's job fell through, I'll always keep part of it in my heart, and I still consider it my second home.